As London Transport bosses hold a key summit in the Capital today (19th March) to discuss workplace violence a new RMT survey of members reveals the shocking level of threats, assaults and abuse experienced by Tube staff on a daily basis the length and breadth of the network. The union will be demanding serious and concrete action at the summit today to turn back the surging tide of violence and hate. • Three quarters of those surveyed had been verbally abused with one in five experiencing abuse more than 20 times a year. • Over a third of this abuse related to race whilst one in ten examples related to gender. • 1 in 10 staff has reported being sexually harassed by passengers. “Abuse is a constant and common occurrence working on the Underground. It happens so regularly that it just becomes a part of it. I have been given abuse referring to my gender and my ethnicity. 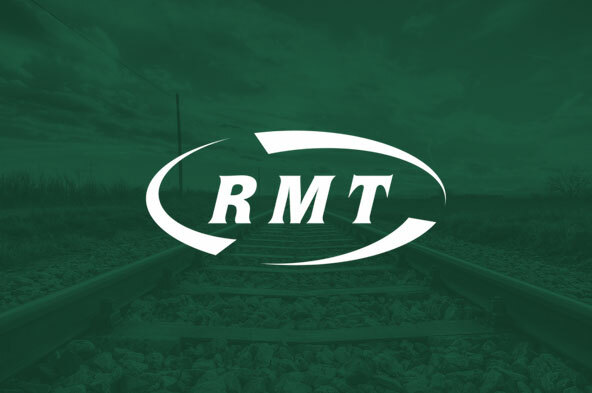 "There is a growing tide of violence and abuse across the London transport network and RMT members are at the sharp end on a daily basis and it is time for the employers to end the warm words and take decisive action to protect both their workforce and the travelling public. “That means more staff, making the objective “zero tolerance” a reality rather than just a slogan and ensuring that decisive action is taken against those responsible for verbal and physical assaults and that those cases are well publicised to deter others.